Howard County has the best schools and amenities. These qualities make it a highly desirable place to live. Many do not disagree that we have become a victim of our own success. County residents deserve a planning tool that serves all. While it was initially created to manage growth in 1992, the law has not kept up with the County's growth rate. The lack of an effective growth management tool has cost taxpayers billions. The APFO legislative package from November 2017 represented a compromise that strengthened school capacity standards. This bill was weakened in February 2018, in a clear indication of developers' massive influence on the County. In addition to undoing the actions that weakened this bill, more needs to be done. For example, we need a hospital capacity test. In the last citizen’s budget hearing held on December 2017 by the County Executive, the hospital requested $5 million for capital projects and $3 million annually to assist in operations. It is inconsistent that the hospital is willing accept public money without being subject to public policy. We also need to strengthen the existing road capacity standards to reduce congestion. Concerns have been raised about the conflict-of-interest between the private entities that perform the test and developers. Such conflicts should be eliminated. The adequacy of public facilities such as storm water management systems and EMT should be tested with new development. Furthermore, we need to ensure the ability of our law enforcement to continue the practice of community policing, which becomes difficult with strained capacity. 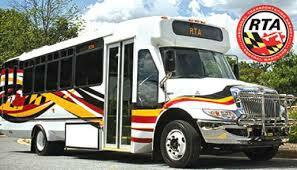 One factor that determines the availability of affordable housing in Howard County is access to quality transportation. The five-year transit service planning process uses existing census data to assess need and routes. This is backwards. A more forward looking planning process would work with the county's affordable housing and housing allocation process to clear barriers for additional affordable housing needs in areas that currently do not exist by making public transit available. The transit planning process is not integrated in the overall county master plan. It appears as though it has a specific purpose - to provide mobility for those who do not have alternative transportation, which is important. Advocates of public transportation to address pollution and the reduction of sprawl should pay more attention to how the county delivers public transportation and how it fits in the overall planning and zoning process. In a survey conducted as part of the report "Planning for the Growth of the Older Adult Population in Howard County", one of the needs that scored the highest in terms of high importance versus low performance by the County’s older adult population is access to quality transportation. The true intent of Transit Oriented Development (TOD) zoning is to bring about more public transit reliant communities and reduce sprawl. However, developers in Howard County have been using it as a Trojan horse for more density. The Laurel Park Station TOD that will result in 1,000 residential units is an example. This undermines tools that could help alleviate transportation needs.